I recently read a review of this companies vanillla frosting chips and was instantly intrigued by the brand. 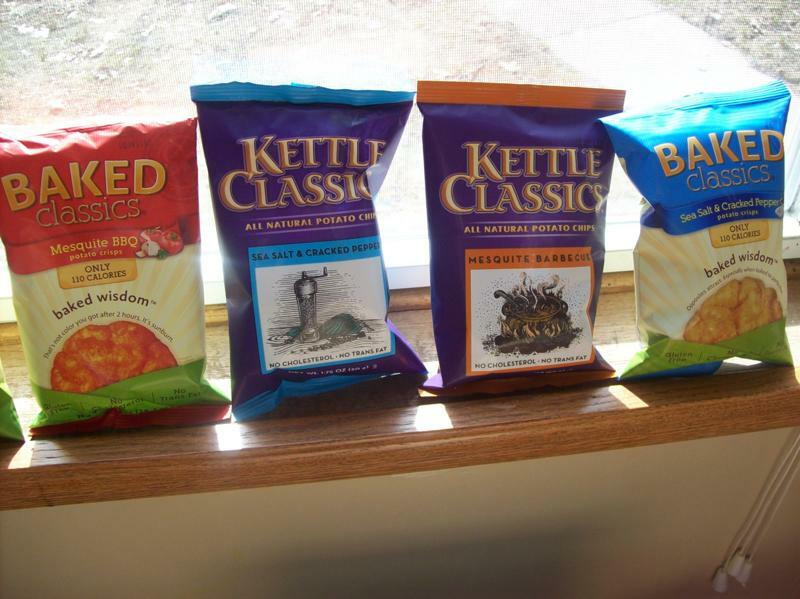 Classics Foods sells kettle chips and baked chips. 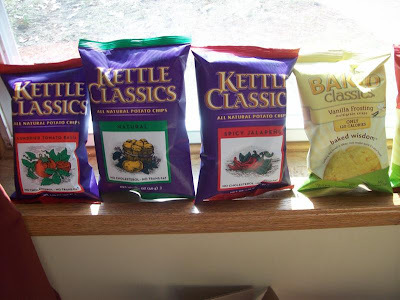 I got to try a variety of flavors including salt and pepper, sundried tomato and basil, and jalapeno. All of them were very good but my favorite was the salt and pepper. They were very crunchy like typical kettle chips and had lots of large pepper flakes. A bag has 260 calories so I divided it into two servings. The baked chips have only 110 calories per bag which is perfect to go along with a lunch or to eat as a snack. I am a big fan of eating healthy but I also believe that you need your chips too!